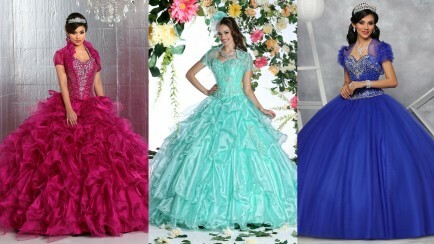 Have you found a Quinceanera dress you just adore, but it reveals a little too much for your personal taste? Or perhaps your family really wants you to wear something with more coverage? Don’t give up yet! Before you put that dress back on the rack, consider the following options. Some are quick, some are custom, and one is a DIY that’s just plain fun. But they will all turn that stunning gown you want so much into something you’ll be proud to wear—and your family will be proud of you for being so creatively modest! 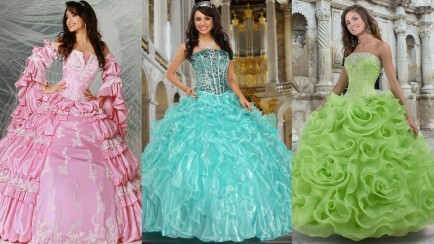 The thing that separates a Quinceanera gown from other clothing—even prom and bridal gowns—is that the skirt is traditionally very full. 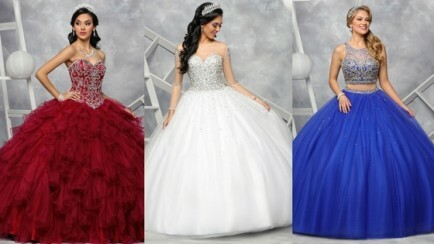 Therefore, by its very nature, a Quince skirt is modest enough for most everyone’s standards. The tricky part is the bodice. Also, depending on how much you want to cover—and how long you want to stay covered—your options will vary. 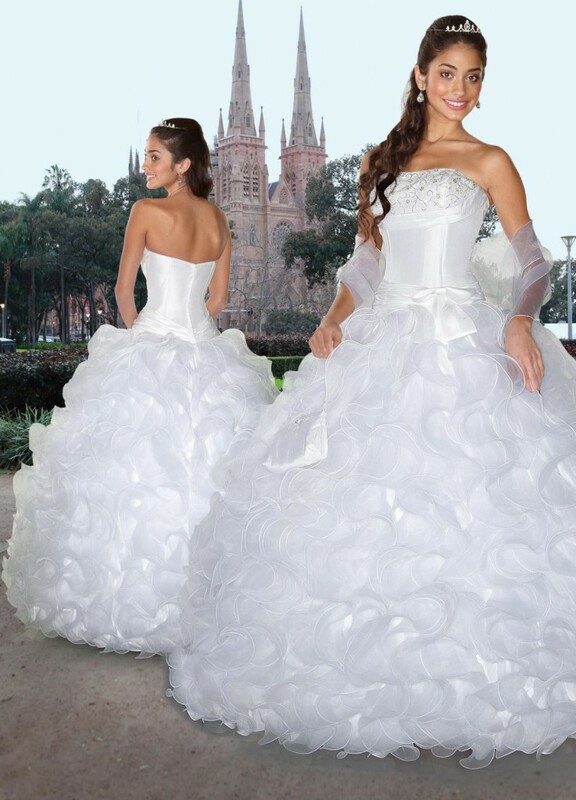 This dress is a perfect example of a straight-across bodice that comes up higher than other strapless designs. The back of the bodice also doesn’t dip down as much. Short Sleeve Bolero or Jacket: Choose sheer chiffon or, for more coverage, an opaque fabric like taffeta, satin or silk. Long Sleeve Bolero or Jacket: Again, this can be sheer or opaque. Gloves: Wear long gloves with a short sleeve bolero, and short wrist length gloves with a long sleeve bolero. This is one of our dresses that already comes with what we’re talking about. 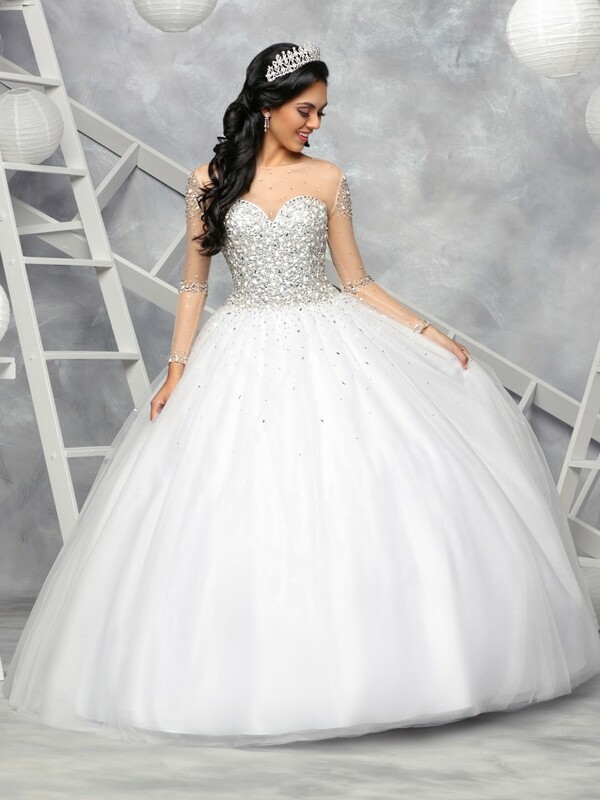 It’s essentially a strapless sweetheart neckline gown with an overlay that creates a “full coverage” dress—high neck, covered back with just a little peek-a-boo, and long sleeves with embellishments. The fabric is called illusion because it creates the “illusion” of coverage. 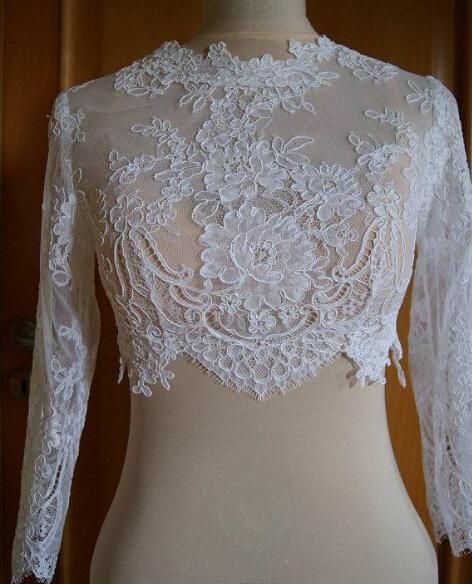 If you want truly full coverage, then choose a dress with a bodice and sleeves made of lace. Or just go back to the jacket or bolero idea and wear it the entire day. Our Favorite DIY Hack: Modesty Panel! 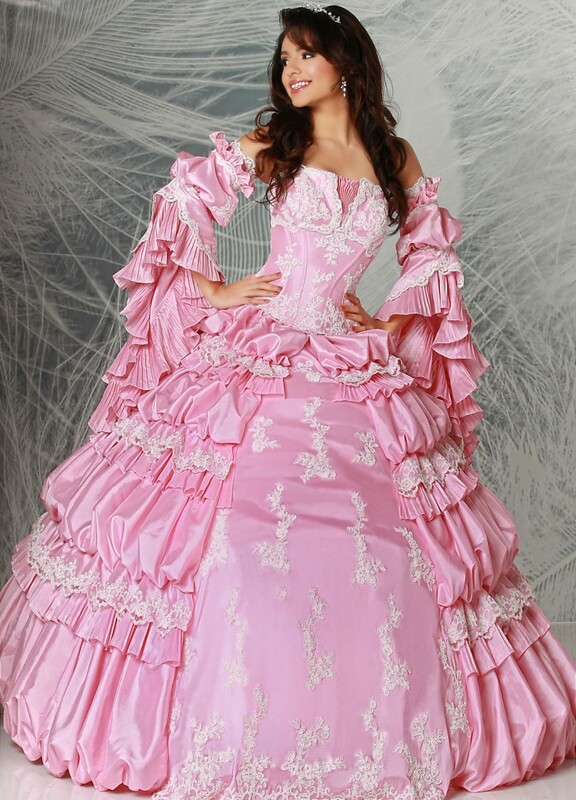 And here’s one of our Quinceanera gowns with the same idea, but the V is made of gorgeous pleated fabric to match the dress! 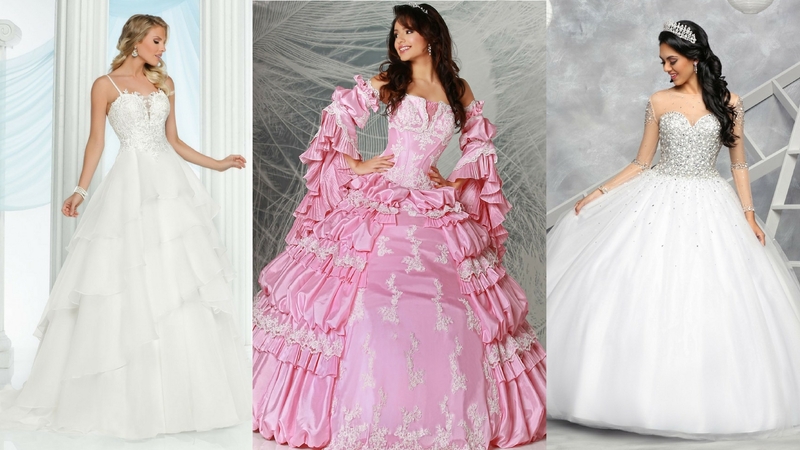 Check out these dresses, all strapless but with a nice, high, straight-across bodice that just might make everybody happy right from the start!